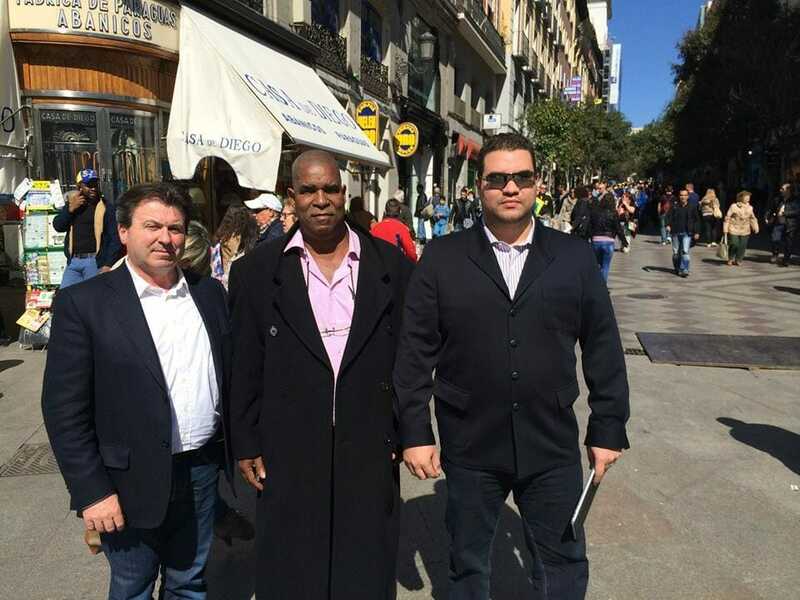 On the 17th of March 2016 Secure Platform Funding discovered the evidence listed below which shows TheHansonGroupOfCompanies.com (aka The Hanson Group of Companies) was using massive amounts of Secure Platform Funding information without our consent, authority or permission and that TheHansonGroupOfCompanies.com (aka The Hanson Group of Companies) were falsely claiming these documents to be their own when TheHansonGroupOfCompanies.com (aka The Hanson Group of Companies) had NO business or broker relationship with Secure Platform Funding at all. 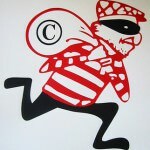 The amount of Intellectual Property Theft, Plagiarism and Copyright Breach by TheHansonGroupOfCompanies.com (aka The Hanson Group of Companies) is on a scale that defies belief! OVER 50% of TheHansonGroupOfCompanies.com (aka The Hanson Group of Companies) website is all SecurePlatformFunding.com content. In most cases the TheHansonGroupOfCompanies.com (aka The Hanson Group of Companies) haven't even changed the web page labels or urls, they simply downloaded our page and uploaded it straight to their own web site, immediately claiming it as their own! It is sickening to see such deliberate, blatant, illegal theft. And what is more concerning is TheHansonGroupOfCompanies.com (aka The Hanson Group of Companies) have NO commercial relationship with SecurePlatformFunding.com so many of the products and services they now "claim" to offer CANNOT be provided because SecurePlatformFunding.com is the provider! TheHansonGroupOfCompanies.com (aka The Hanson Group of Companies) never honored their written commitment to "remove all information as soon as they received details from us". They continued to deceive clients, misuse Secure Platform Funding intellectual property and continue to operate "pretending" all the Secure Platform Funding information on their website was their own when in fact it was stolen from one of their competitors because they did not have the intelligence to create their own! It is shameful and hugely disappointing that TheHansonGroupOfCompanies.com (aka The Hanson Group of Companies) prefers to continue to cheat, lie and mislead their own customers by using stolen Secure Platform Funding information on their web site rather than tell the truth, do the right thing and remove the information they stole. Most companies operate professionally and ethically, Eugene Hanson and TheHansonGroupOfCompanies.com (aka The Hanson Group of Companies) do not! You have to ask yourself, if Eugene Hanson and his peers have no problem stealing and lying to us, they very likely have no problem doing exactly the same to their customers. 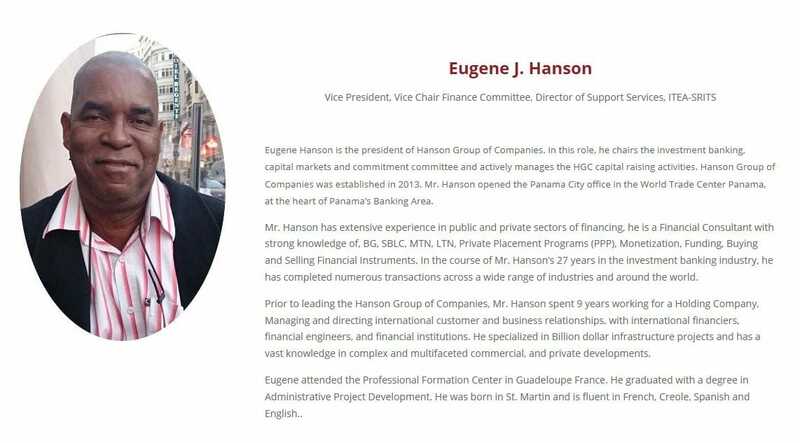 BEWARE OF Eugene Hanson and TheHansonGroupOfCompanies.com (aka The Hanson Group of Companies) NOT NOT DEAL WITH THESE THIEVING CROOKS! THEY HAVE NO INTEGRITY AND NO CONSCIENCE, AVOID THEM LIKE THE PLAGUE! 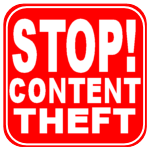 THEY STOLE FROM US, THEY WILL LIKELY STEAL FROM YOU! The Hanson Group of Companies Admits its Theft! The Hanson Group of Companies Blatant Theft Defined and Listed! The Hanson Group of Companies has listed Secure Platform Funding as a banned provider on the banned assets page of their website. (A page that was directly copied by Hanson from our web site: https://www.secureplatformfunding.com/banned_assets_and_financial_instrument_providers/) See an image of the Hanson website page below. a) TheHansonGroupofCompanies.com clients don't visit the SecurePlatformFunding.com and find out the truth which is that TheHansonGroupofCompanies.com stole 50% of their information from SecurePlatformFunding.com. b) In a deliberate attempt by TheHansonGroupofCompanies.com to try and discredit Secure Platform Funding so The Hanson Group of Companies can try and gain more clients using the website content they stole from Secure Platform Funding. What is most incredible is that while TheHansonGroupofCompanies.com "Publicly" try and discredit Secure Platform Funding, "Privately" they have been trying to work with Secure Platform Funding and asking Secure Platform Funding to provide service to TheHansonGroupofCompanies.com. The email evidence below from Eugene Hanson CEO of TheHansonGroupofCompanies.com speaks for itself and is mind-blowing! The hypocrisy of Eugene Hanson and The Hanson Group of Companies knows no limit! Eugene Hanson emails Secure Platform Funding requesting we provide him with service and an attaching an Application completed by one of Eugene Hansons clients with Secure Platform Funding Branding! Update: 5th December 2016 - Hanson Client discovers she has been Scammed by Hanson! Unfortunately, it was too late when I found your website. A ******* introduced me to The Hanson Group of Companies. Thus, after working with many non-performing and fraudulent providers, I decided to give this company a try by paying $29.90 to register as Certified Silver Broker. I made payment and submitted my profile on Monday 28-Nov-16 , they reply quickly to inform me it will take 72 hours due diligence. When I still don't receive on Friday, I sent an email to ask. So, the very next day, I received the Certificate attached. The biggest joke is the certificate is addressed to another unknown person. This is a big INSULT!!! They are so unprofessional. Even if they are frauds, they should at least do a proper job to refer to my profile and send the Certificate with my name. Then, when I read the contents on your website, Formal Public Warning - TheHansonGroupOfCompanies.com - Theft, I am even more alarmed!!! How could they just copy from other companies. 1) How to report them to authority for fraudulent? 2) Can your company help in providing BG/SBLC? Below is the Silver Broker Certificate The Hanson Group of Companies issued to Daphne Fan.... The Certificate is a direct copy from the Secure Platform Funding website and doesn't even have Daphne's name on the certificate! Actually it has the names of two other people on the certificate LOL..... "Adriano Marcos da Cruz" and "Santiago Severino". The unprofessionalism of The Hanson Group of Companies is mind blowing. Do yourself and your clients a favor, work with the genuine and original Secure Platform Funding NOT the cheap fake initiation from TheHansonGroupOfCompanies.com. 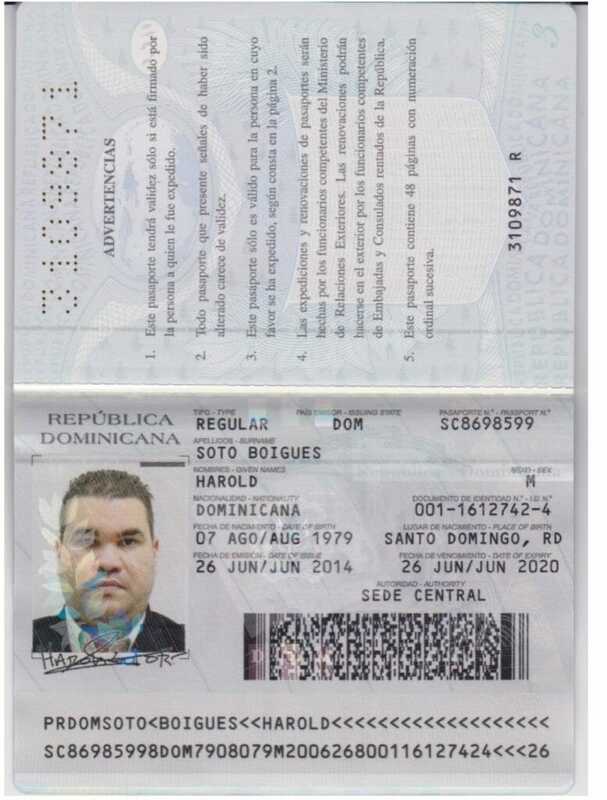 Update: 20th February 2018 - Passport Details of Harold Soto Boigues of TheHansonGroupOfCompanies.com & The Hanson Group of Companies. The Hanson Group of Companies, S.A.
Apartado Postal: 0832-058, Panama City, Panama. Update: 22nd March 2018 - Photographic Evidence of Eugene Hanson & Harold Soto Boigues Working together. Blatant Evidence of TheHansonGroupOfCompanies.com & The Hanson Group Of Companies using Secure Platform Funding Copyrighted Information without Permission, Authorization or Authority! of TheHansonGroupOfCompanies.com(aka The Hanson Group of Companies) are pages, text, forms or photos that have been stolen from www.SecurePlatformFunding.com. The following pages are printouts of pages on thehansongroupofcompanies.com web site (aka The Hanson Group of Companies) that were direct stolen from www.SecurePlatformFunding.com. The level of theft, copyright breach and plagarism is MASSIVE and on a SCALE that is DISTURBING, DISGUSTING AND DISGRACEFUL! In the Finance Business Integrity Matters! If you were thinking of doing Business with Eugene Hanson and TheHansonGroupOfCompanies.com (aka The Hanson Group of Companies) DON'T! Find another company the respects you, appreciates you and operates to High Standards like Secure Platform Funding! There was a reason the Hanson Mafia plundered our website to try and make it their own.... We are the best, we are #1 and that is why they copied almost everything we produced. Come and work with the Master, not his fake clone copycat. Contact www.SecurePlatformFunding.com today and let us give you the service and integrity you deserve!